U.S. Navy to require "open GIS"
A reader forwarded me this article from Federal Computer Week about the Navy looking at only accepting “systems based on open technologies and standards”. By using an open network architecture, the Navy could rapidly upgrade its capabilities and handle increases for demand, Edwards said. ‘Above all, we must break the stovepipes of data so that we can share information across domains,’ he said. Now he is talking in general (no pun intended) here, but the point is clear. 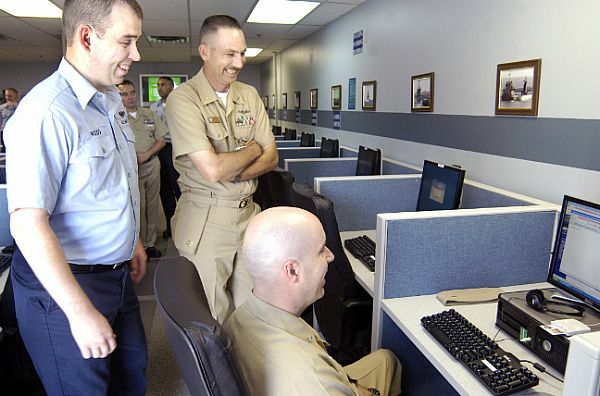 If you want to do business with the Navy, including GIS, you’ll need to support open standards. I’m guessing this means using WMS with your ArcIMS and ArcGIS Server implementations and not using Personal Geodatabases anymore. I’m pretty sure loading the data into SQL Server 2008 Spatial and then connecting to it from ArcMap is acceptable, but we are going to start having to change the way we implement GIS for our Navy clients. Should be interesting to see how quickly this gets implemented.